As much as I love wine, I also love the flair & creativity behind the design of the label. One recent favourite is the new look Jason’s Creek label. You may recall a post I did last year about our wine tasting experience and lunch at Jason’s Hill; for a bit more insight I recommend you have a read. The farm, located at the foot of the Slanghoek Mountains, is in the heart of the Boland. Jason’s Hill produces a fantastic selection of estate wines, and my personal favourite is the Izak Reserve 2013 Bordeaux Blend. 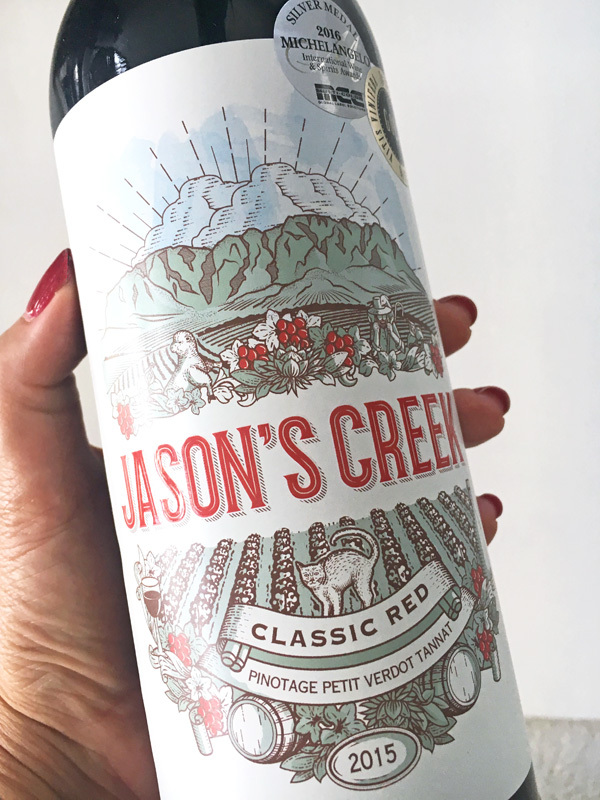 The revamped Jason’s Creek label design illustrates the story of Jason’s Hill. The top half represents the heritage of the farm, while the bottom half depicts the farm as it is known today. The farm originally takes its name from an old shepherd, called Jason, who tended his flock of sheep in the mountains behind the farm. On the top of the label are the farmers, in the early years, planting vines. At the bottom of the label, you will see the vineyards, which appear more prominent, as they are today – hence symbolising a thriving wine estate. A quirky and fun element is the resident farm cat, known as Jason. 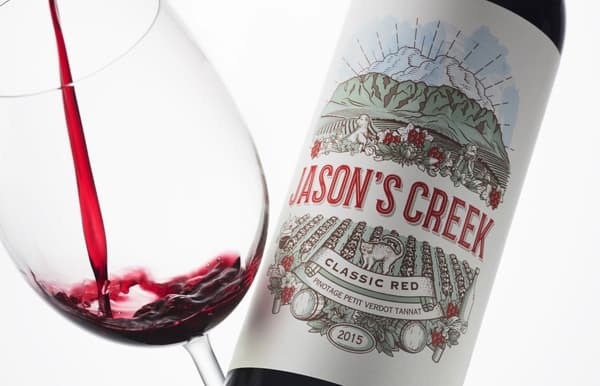 The eye-catching label is befitting of the recently released Jason’s Creek 2015. 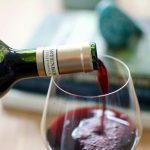 Winemaker, Ivy du Toit, describes the wine as being smooth and delightfully uncomplicated. 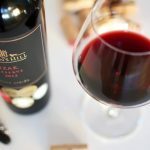 On the palate, you can expect flavours of juicy raspberry, cherry, and hints of spice. As a result, the tannins are well-managed. Matured in French Oak barrels for ten months the wine is ready to drink now. However, it will reach its full potential if left for a further eight to 12 years. 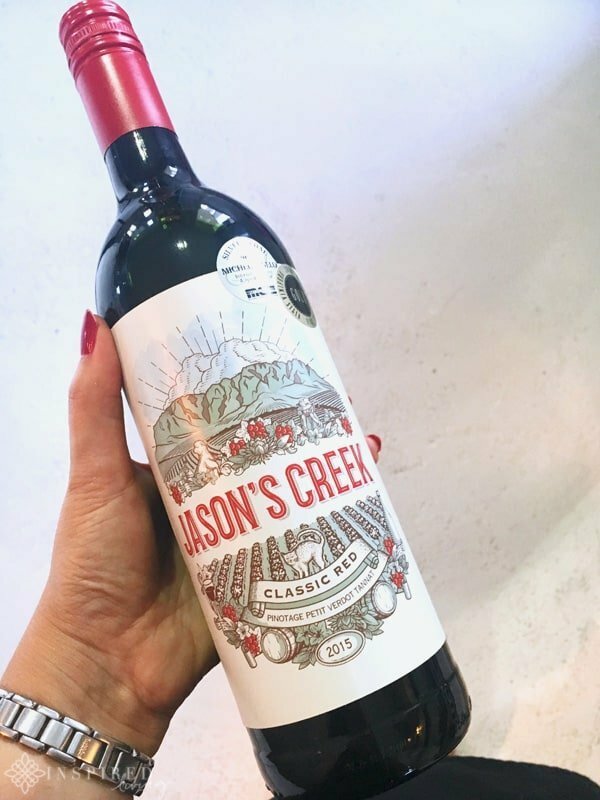 The Jason’s Creek Classic Red Blend 2015 retails at R70 per bottle. If you would like to do a full tasting of the wines on offer, the Jason’s Hill Tasting Room is open Monday through Friday from 8:00 to 17:00, Saturday from 10:00 to 15:00 and is closed on Sundays. Location – Slanghoek Road, Slanghoek Valley, Rawsonville, 6845, South Africa GPS 33°39’52.28″S 19°13’42.38″E. Contact Jason’s Hill Private Cellar via Telephone 023 3443 256 or email info@jasonshill.co.za. The Restaurant is open Monday to Saturday 10:00 – 15:00. Images: © Inspired Living unless otherwise stated. Wine Glass image supplied. This post does not contain sponsored or paid content.